Some of the World's richest men just lost a ton of money—billions actually. Have you ever had financial losses? Not the most pleasant experience is it? I mean if only you had the legendary business wisdom of Billionaire Warren Buffett, then you won't ever have to lose a dime right? Wrong. 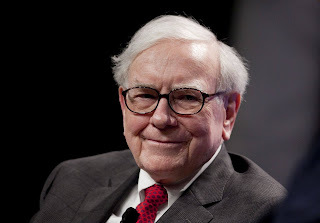 Even Mr Buffett can have a bad day — and trust me, some of his bad days are really bad. Mind blowing losses that are not for the faint of heart. The 87 year old investment genius and Berkshire Hathaway chairman and CEO, is renowned for his investing capabilities that can only be described as surreal. His ability to predict the markets with consistent success has been attempted by a great number of people. But as you may have guessed—none have come close to his tactical genius in the world of money making stock. He is still the King of the markets. That is why it was really shocking when he inadvertently lost $1.53 billion in Tuesday. According to Bloomberg, the billionaire actually lost 2% of his net worth as markets were broadly routed on policy uncertainty and ongoing tensions over North Korea. But Buffett isn't the only billionaire that lost. Other mega losers in Tuesday included Fashion magnate Amancio Ortega. Last week, he briefly became the richest person in the world. But now Ortega lost $1.22 billion, or 1.5% of his net worth. This pushed him back down to the third richest in the world. Mexican billionaire Carlos Slim and Jeff Bezos, the Amazon founder, lost $1.04 billion each. After these mega losses, Bloomberg released its new list. The top-5 wealthiest men in the world are now as follows. Believe me when I say that the list above changes often, but the usual names continue to dominate the top 5, and even the top 10.